A very large storm struck the eastern coast of India on October 12. 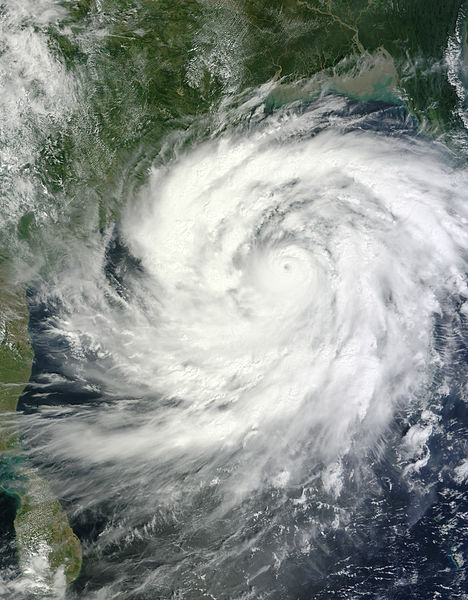 Cyclone Phailin hit the Indian state of Odisha with winds of speeds up to 125 mph (200 kph). Before the storm made landfall, about a million people had been moved out of their homes into shelters. About 30,000 animals were also moved to safe locations. The storm has caused flooding and damage. Homes, trees, crops, and power lines have been destroyed. The cyclone has killed about 30 people. Fourteen years ago, a large cyclone had hit the same part of India killing about 10,000 people. A strong typhoon struck the eastern coast of Japan on October 16. Typhoon Wipha hit a Japanese island just south of Tokyo, the capital of the country. The storm brought along heavy rains and strong winds (80 mph or 130 kph) that caused flooding and mudslides, destroying homes and killing about 20 people. 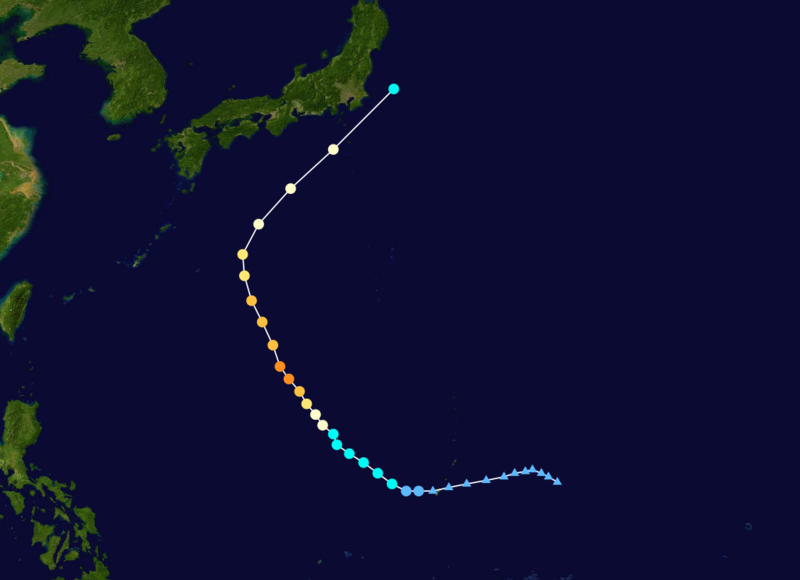 Many schools were shut in Tokyo and many flights were cancelled because of the storm. What’s the difference between cyclones, hurricanes, and typhoons? Not much! They are all the same type of storm – the only difference is what part of the world the storm strikes. In Australia and the Indian Ocean, they are called cyclones. In the Western Pacific Ocean, they are called typhoons. In the Atlantic Ocean, Gulf of Mexico, and the Eastern Pacific Ocean, they are called hurricanes. Here is a video explaining tropical storms. Indians use the words “lakh” and “crore” when they talk about large numbers. Many of us talk about larger numbers as – thousand, ten thousand, hundred thousand, million, and so on. In India, hundred thousand equals one lakh, and ten million equals one crore. Therefore 1,000,000 (one million) is written as 10,00,000 (10 lakh), and 100,000,000 (hundred million) is written as 10,00,00,000 (ten crore).